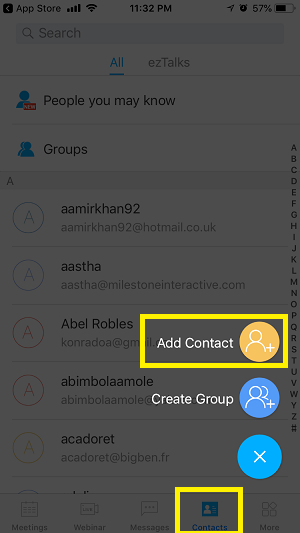 Here are the steps about how to add contacts. 3. 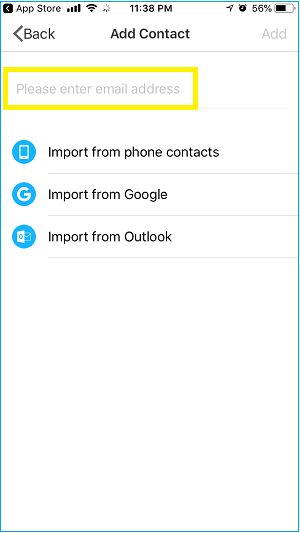 You can add contacts by manually typing the email address, or import the email addresses from your phone contacts or from Google/Outlook.